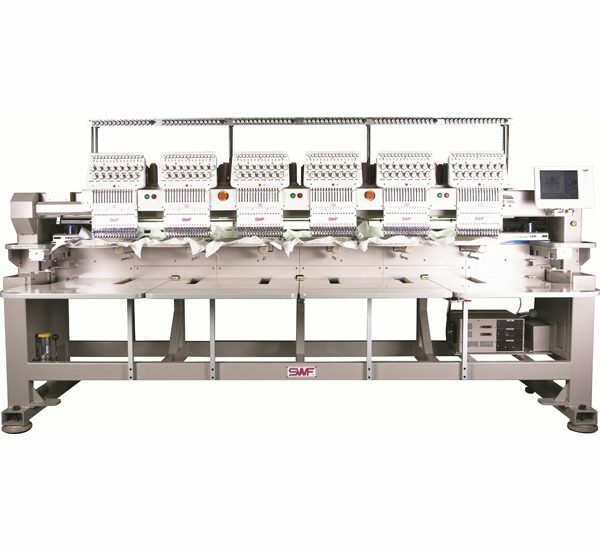 SWF K-Series offers the K-UH1506-45 and the K-UK1506-45 Automatic Embroidery Machines. The K-UH1506-45 has the 400mm Head Interval and is referred to as the Small Head Machine. The K-UK1506-45 has the 500mm Head Interval. The UK also has a wider frame than the UH. Both SWF 6 Head machines provide the same K-Series dependability and standard options. LCD display, Quick Change Cap, USB, and SWF Oiling system. SWF also offers the 7 year limited warranty and Electronic Components 3 years. Indivisual Head Operation Individual Head Control allows users to control each head individually and leave other heads in their original location.